Time to break out your touristy postcards! You will have 10 partners! I will give everyone 2 weeks+ from the signup date to get these out. 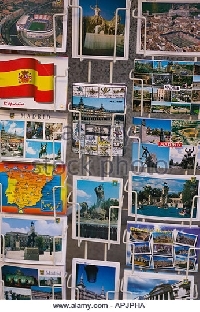 -Senders choice of STORE-BOUGHT touristy postcards! 4.95+ rating, no recent unsresolved 1s or 3s! write a message of some sort! : quotes, a little hello, fun fact... YOU GET THE PICTURE.